Planning some healthier alternatives to the normal “bar-food” experience you’d encounter at most super-bowl parties, is only half the battle. 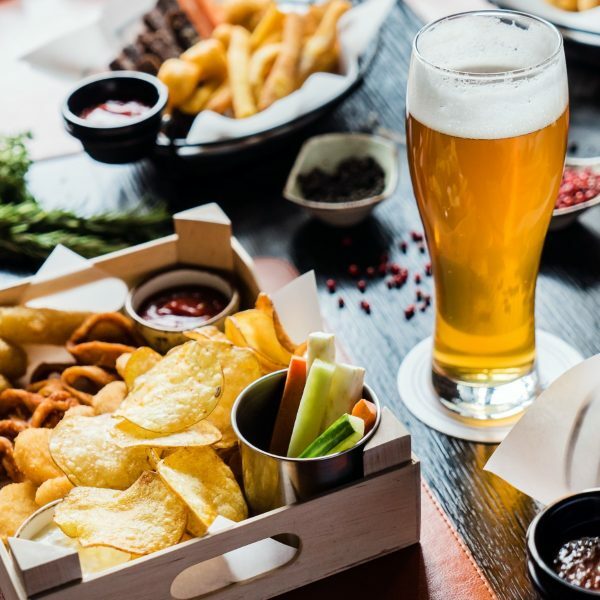 Check out our article 5 Simple Strategies to Beat the Weekend Binge for more health tips that will keep you from piling on the pounds and avoid the need for “cheat days” for good! This version of Mac n’ cheese is made with butternut squash sauce and nutritional yeast keeping this delicious meal to just 245 calories per serving. Split the recipe up into a muffin tray and divide the recipe accordingly for bite-size versions! Chips and dips are staples on super-bowl Sunday, but aren’t providing a whole lot of benefit to your body other than calories! Why not switch things up and get some extra veggies in with this simple sweet potato hummus dip and serve it with pitta chips or crunchy crudités. You can serve these brussel sprouts on a cocktail stick to transform them into super easy finger food. Use ground beef or substitute turkey for a leaner meatball. Skewer with roasted veggies to turn these into kabobs or serve with a marinara dipping sauce on the side. This recipe is for 4 full sized servings. You could easily divide this recipe up though and serve your sloppy Joe mixture in slider-size buns to shave off plenty of calories.